One thing I know from my work is that mindful children react differently to challenges. To show you exactly what I mean, I've created a few illustrations. Growing up, I was a firecracker. I reacted quickly to situations and never hesitated to express my "passionate" opinions. This often led to hurt feelings. I remember once, after a heated discussion with my brother, he asked my parents to put a coffee filter over my mouth to "keep the yucky stuff inside." My dad later took me aside and said, "Renee, you need to think before you speak. You're going to hurt people with that sharp tongue. This is something I really want you to work on." "I'm sorry, Daddy," I replied. "I feel things, and then I just say them. Why don't you understand? Why doesn't anyone understand?" Then I yelled, "I JUST CAN'T HELP IT!" My dad seemed upset, but he didn't speak. It was so quiet that I could hear him breathing. Finally, he said, "Did you see what I just did? I was breathing. Next time you're upset, take a minute to just breathe. Just breathe in and out. Then speak." What my dad suggested is a form of mindfulness, a particular way of paying attention to a present experience -- in this case, a sensory experience. 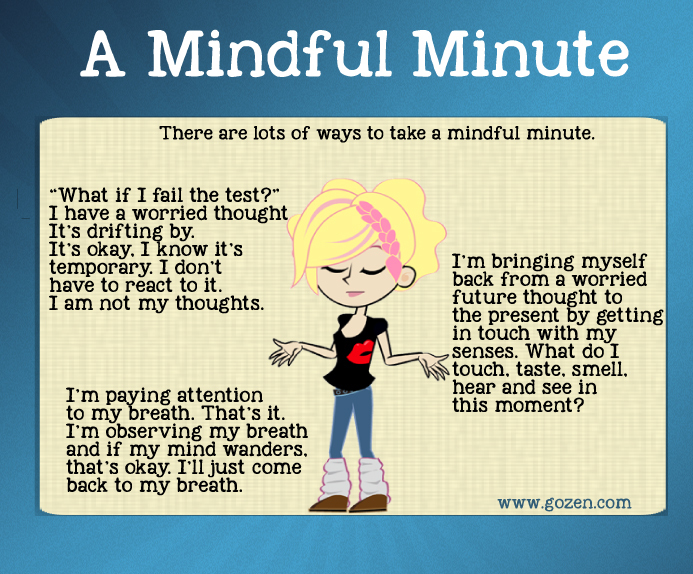 In many situations since, this mindful minute has helped me filter my reactions to others. It has helped me cultivate better relationships. What took me much longer to learn was that the relationship I really needed to nurture was one with myself. My harshest reactions were those provoked by my inner monologue. Little molehills (an upcoming test, a worried thought) blew up into mountains of anxiety. Had I honed the ability to turn the tool of mindfulness inward earlier, I'm confident that I could have prevented many downward spirals of negativity. 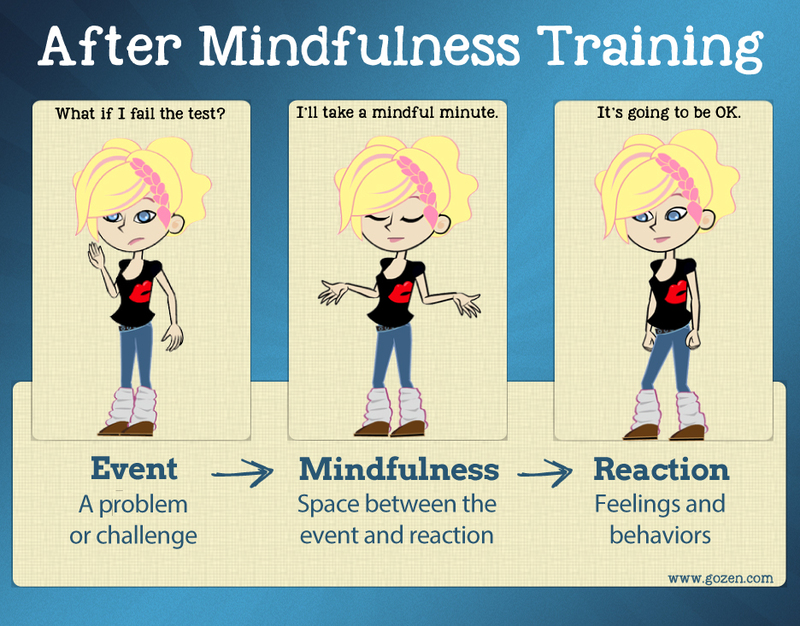 While I can't go back in time to give little Renee these tools, I now have the privilege of working with amazing children and teaching them skills of resilience and mindfulness. One thing I know from my work is that mindful children react differently to challenges. To show you exactly what I mean, I've created a few illustrations. What does a mindful minute look like? 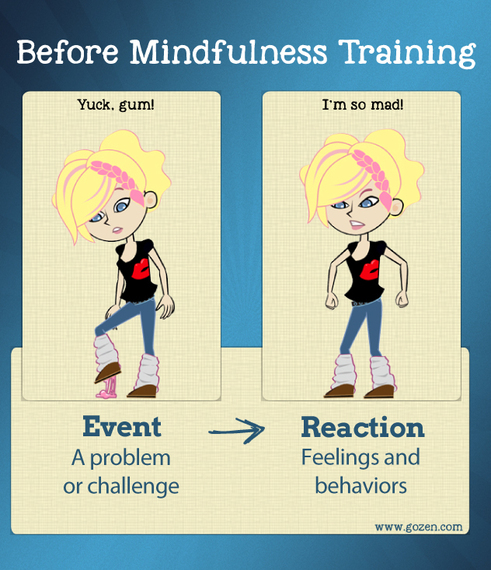 Before mindfulness training, challenging events can provoke quick reactions. 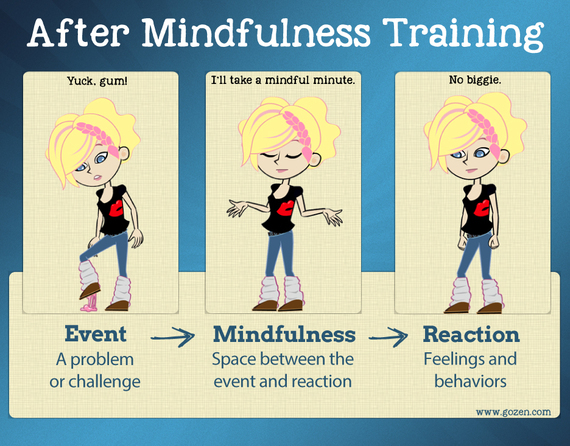 After mindfulness training, you can pause and create space between an event and your reaction. This transforms knee-jerk reactions into thoughtful responses. 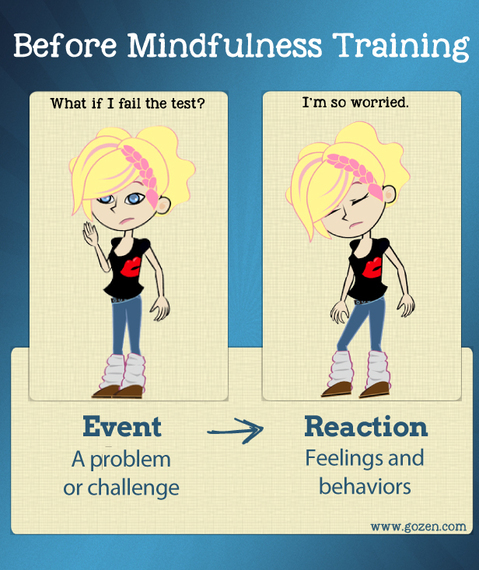 Before mindfulness training, a thought may lead to anxious feelings and behaviors. After mindfulness training, you are skilled at halting an anxious response in its tracks. You'll notice that throughout this article, I've used the words mindfulness "training." 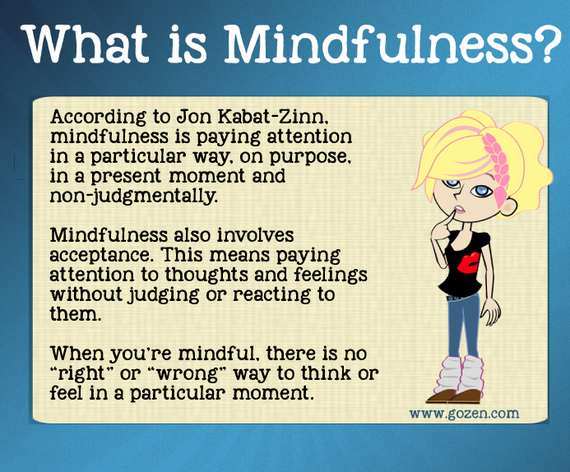 This is because mindfulness is a skill which any child or adult can sharpen with practice. It's a skill which the research shows can improve impulse control, calmness, kindness, patience, compassion, empathy, executive function and attention spans in children. It's a skill we can give the next generation of kids to not only connect more deeply with others around them, but to really nurture a sense of self-respect and self-compassion.